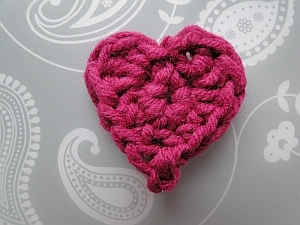 My Tiny Crochet Heart - a Fast and Easy Crochet Project! 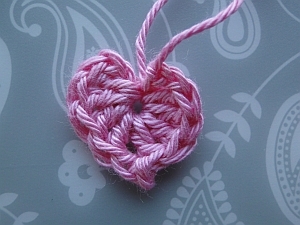 This tiny crochet heart pattern came to me quite by accident as I was working on some petal designs! 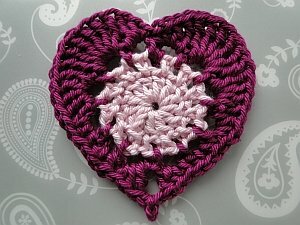 First side of heart: ch 3, 4 dc (UK tr) into 3rd ch from hook. 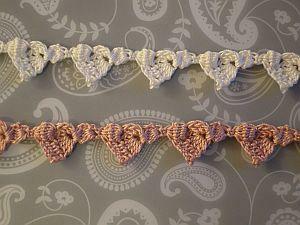 We will call this 3rd ch our "starting chain" as it is the first chain we worked. 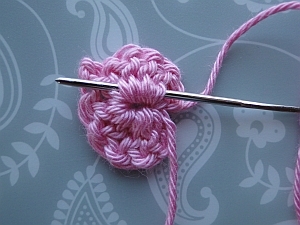 Picot at bottom of heart: ch 2, ss into 2nd ch from hook to make your picot. 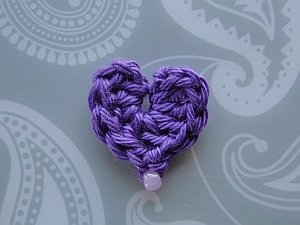 Second side of heart: 4 dc (UK tr) into starting chain, ch 2, ss into same stitch to finish your second side. 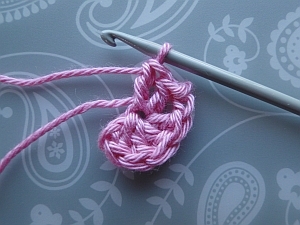 Going up the second side and crocheting over the tail end. 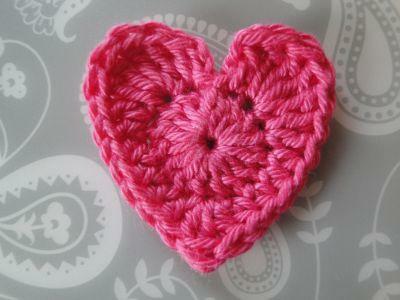 Both tail ends on right hand side of heart. 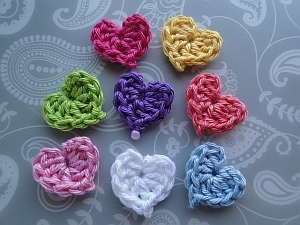 Then turn your heart over and weave each end into the back. 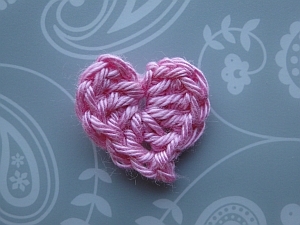 Weaving in each tail end around the back center of heart. ...and round to the other side. 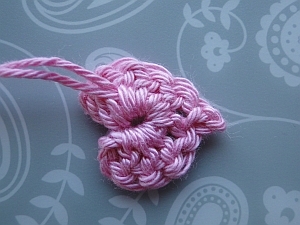 Then you can snip them both off together! Both tail ends ready for snipping.